November 29, 2011. After stepping off the plane from Ottawa, I drove 3 hours from Orlando, Florida to Brunswick, Georgia. Next day I was meeting up with good friend and fellow birder Chris. I had planned this trip south to find a few sparrow’s, I needed images of. Next morning after breakfast we left for Paulk’s Pasture, actually a Hydro cut through a wet area with low grasses. The zig zag pattern of walking was easy and we hoped we’d flush up a bird. We saw Towhee’s, Gnatcatchers, Sedge Wrens and the odd sparrow but most of them looked like Savannah’s. Luckily no snakes. We continued down the hydro cut and then finally we flushed a small Ammodramus Sparrow (fairly easy to spot, they fly up, then right back down into the grasses). No amount of pishing would make this bird pop up. 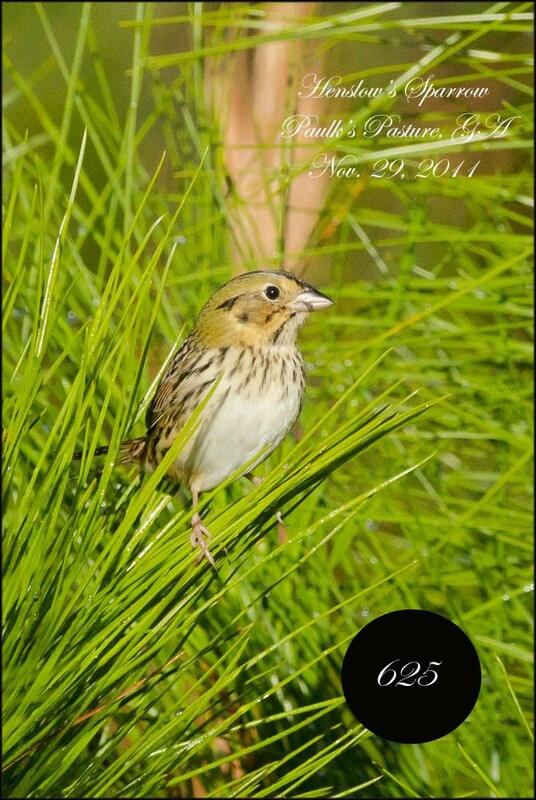 I decided to try my Ipod, Ibird software. I no sooner played the call and out popped #625. A lovely bird in early morning sun. Thanks Chris. LOLOL … another little brown job out of the way. 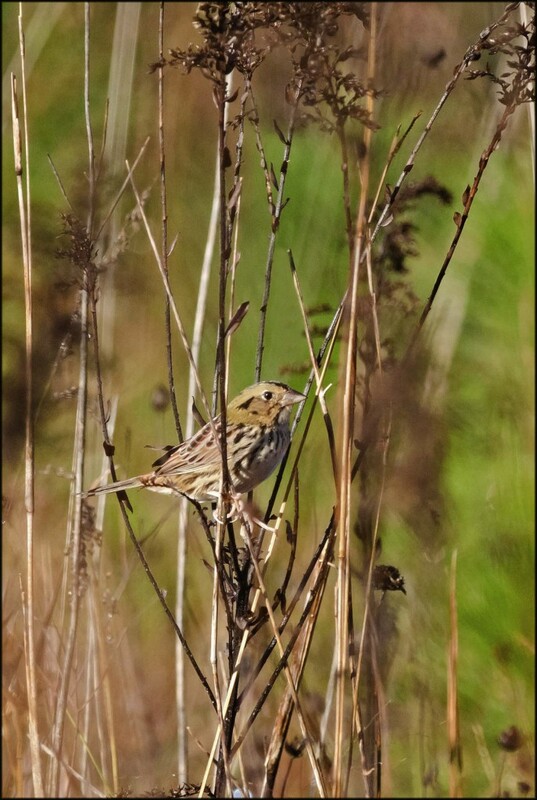 I thought this was the hard bird but Saltmarsh Sparrow’s would prove me wrong……..